Pandas are so adorable. 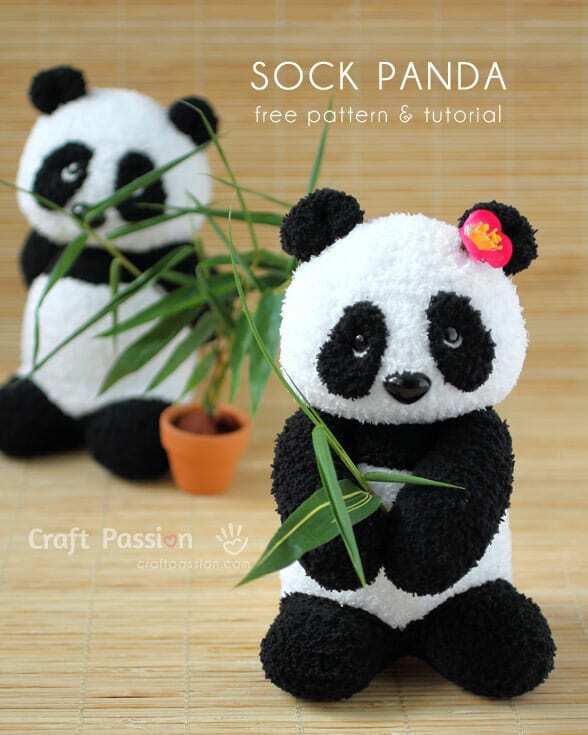 If you are fond of collecting panda stuffs, try to make this cute project. A perfect gift for some panda lovers, too! Check out this sock panda. 1. Microfiber chenille sock, Black & White, 1 of each. You can also check this Sloth Sock FREE Pattern and Tutorial.